Professional Towing, Roadside Service and Minor Roadside Repair needs in the Richmond VA area. With a reputation for quality towing & wrecker service, truck & trailer repair in Richmond, VA & surrounding areas, Dennis Truck & Trailer Repair ensures the very best towing and recovery service for your vehicle and excellent customer service. We want to gain customers that will be customers for life, not just for a one-time service. To keep your business, we know that we must deliver the highest quality towing and wrecker service at a reasonable price. We offer the best rates in towing, wrecker service, truck & trailer repair in Richmond, VA and surrounding areas. 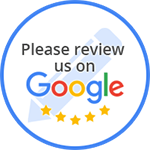 We will tow all all over the U.S.
With a proven record of excellence in providing the drivers of Richmond, VA with quality towing & wrecker services, Dennis Truck & Trailer Repair is a name you can count on. Did you just get into an accident? Did your car break down? Rather than spend hundreds of dollars on second-rate towing companies, call us for a fast, reliable, and affordable towing service.